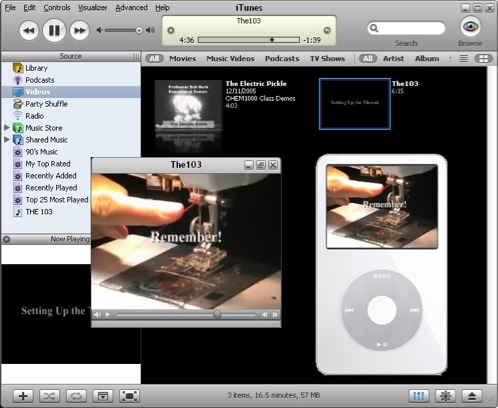 Though the video was originally created for the interactive sewing tutorial, video was additionally exported in an iPod-compatible format. This allows students to download and watch the video on their own laptop computers or transfer it to their iPod using the free iTunes software. By using the iPod/laptop, students can reference the video while actually performing the procedure. This entry was posted in Interactive, learning activity, training, Video and tagged costuming, fine arts, flash, sewing, theater by Britt Carr. Bookmark the permalink.